Today's guest post of the Feel Unique Beauty Box has been written by the very talented Kerri Miller from Starstruck Designs. Starstruck Designs specialises in Bridal Tiaras and Jewellery. This is billed as a best selling body hero. Coconut oil and vitamin E are combined and the aim is to reduce cellulite, increase circulation, improve tired skin, and to nourish and hydrate. I liked this product, apart from one thing – the smell. It was really citrusy, and we’re not talking “just pierced lemon skin”, but more of a “just opened the bathroom cleaner” kind of way. The product itself is easy to apply, feels lovely going on, rinses off beautifully and left my skin feeling super soft for the entire day (I didn’t moisturise afterwards just to be sure). With only 2 packets in the box I can’t vouch for long term benefits, but unless the synthetic fragrance is changed, I’m unlikely to be buying it to find out! Ah this is more like it! I’m pretty fussy when it comes to moisturisers. I like them to be deeply hydrating, but to feel lightweight and absorb quickly. I cannot bear creams that sit on the skin and do nothing! This ticked all the boxes for me. Beautifully lightweight, and quickly absorbed. I could apply my makeup within 5 minutes or so. I tried it overnight as well and was really impressed to find my skin still felt really soft first thing in the morning. This one gets a big thumbs up from me, and I will probably buy it again. Mmm…a super soft moisturiser, smelt very nice, fresh but not in a “ZING” wake you up, kind of way. However, at this time of year my skin is ultra dry and I’m afraid that this body lotion wasn’t intense enough for my papery legs! Perhaps in the spring when the weather is less cruel (and the central heating is turned off), it would fare better, but at this time of year, it was only an hour or so before my skin started to feel tight and dry again. This is supposed to be suited to colour treated hair, which is ideal for me, as I need to colour mine on an obscenely regular basis to cover up the child induced greys. The sample that I had lasted 6 washes (I have very short hair) and it was indeed lovely. Not sure it was any more lovely that the conditioner I normally use though. The smell was really nice, the first word that sprang to mind was “buttery”, I guess it was quite subtle and creamy, felt lovely going on and rinsed off very easily. I’ve used Soap and Glory Hot Pore Cleanser for about a year now, and This Works, Clean Skin for the Face seems like a pretty similar product to me. You use it as a cleanser, massaging it all over the face and neck, and then rinse off with water. It smells divine (very similar to its S&G counterpart), and leaves my skin feeling utterly pampered. I also tested it on bare skin, and on skin that was caked (after a rare night out!) with all my favourite make-up brands. It came up trumps even when tested with black liquid eyeliner and a pillar box red lippy. I would definitely buy this again. I also got a teeny sample of another Lierac product: Lierac Hydra-Chrono+ Intense Re-Hydrating Balm, Emergency Hydration. This wasn’t listed on any of the paperwork that came with the box or in the email that told me what to expect. When I tried to look it up online, I hit a brick wall, I couldn’t find it anywhere, which made me suspect that I’d been given an old sample that was no longer available. However, to my absolute pleasure, I found out this was not the case! I contacted BeautyBox at Feel Unique, and their communication was excellent. They asked me exactly what the product sample was, and when I explained, they informed me that it was a brand new product that hadn’t been added to their site yet. They then emailed me again with a link to the new page, where I could buy the product. Talk about customer service. I cannot wait for my next box to arrive! Thanks so much Kerri for the review. 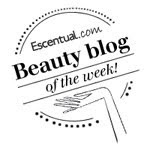 A great insight into another beauty box service that is available. Unfortunately since this was posted Feel Unique have closed their Beauty Box Service, but they are apparently working on something to replace it. Watch this space!